Coast Powertrain Ltd. is pleased to announce that they have been chosen as the only rebuilder in British Columbia to represent Meritor Inc. in an Authorized Rebuilder Program. With branches in New Westminster, Prince George, Kelowna and Surrey, fleets can maximize uptime with guaranteed 24 hour delivery anywhere in the province. 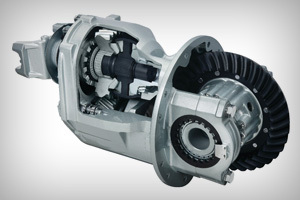 Popular ratios can be supplied for Meritor carrier models 46-160, 40-145 and 14X. All Meritor Authorized units come with 2 year nationwide warranty coverage, so fleets can be confident that they are getting carriers rebuilt to OEM standards. Built with 100% genuine Meritor gear components and factory trained technicians, Coast Powertrain Ltd. is committed to delivering the highest quality rebuilt carriers in B.C.